A unique item! Ames Walker Style 33OT Sheer Support Pantyhose in 20-30 mmHg is our highest compression Sheer pantyhose! If you need that extra support, but in a sheer pantyhose, here it is. This is the sheerest 20-30 mmHg pantyhose available in the marketplace today, and now with an open toe option! You must see it to believe it! 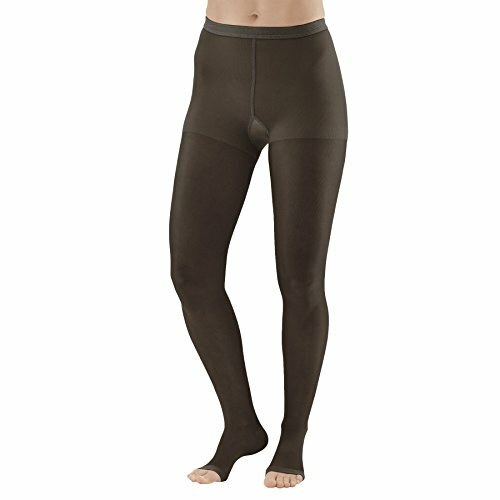 The Style 33 gives the compression of a 20-30 mmHg Surgical garment, but in an elegant, sheer pantyhose! Reinforced heel and toe, with cotton crotch.